Dr Patrick Campbell is in Brazil continuing to build the School of the Arts international links with the Theatre School of the Federal University of Bahia (UFBA) and its Postgraduate Programme in Performing Arts (PPGAC). Dr Lorna Jowett and Dr Mike Starr have been interviewed by Fangoria, the internationally distributed American cult magazine. The interview about the University of Northampton’s TV Fangdom: A Conference on Television Vampires (7-8 June 2013) also features fellow conference organiser, Dr Stacey Abbot (Roehampton University). Finally, Dr Gerri Kimber, Senior Lecturer in English has been invited to give a keynote speech at the Katherine Mansfield’s Fiction: New Edition, New Approaches conference at the Université Paris Ouest Nanterre la Défense on 21 June 2013. Organised by the Paris based research group FAAAM (Femmes Auteurs Anglo-Américaines), the conference will also feature a paper by School of the Arts Professor in English and Postcolonial Studies, Janet Wilson. 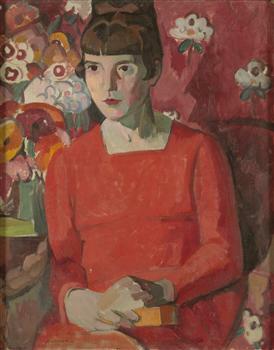 Katherine Mansfield (1918) by Anne Estelle Rice via Wikimedia Commons. Posted on June 7, 2013, in News, School of the Arts and tagged Bahia, Brazil, FAAAM, Fangoria, Katherine Mansfield, performing arts, theatre, TV Fangdom. Bookmark the permalink. 2 Comments.